The other day I realized that there were things I wanted to accomplish but I simply couldn’t remember them. I keep to do lists but not a wishlist of places I want to visit and things I want to do. So here it is, my wishlist. It is in the making and I will be adding to it so when the time comes, I can plan more efficiently and start crossing items off. Refurbish Kitchen- new counters, lighting, improve cabinets… make it livable! 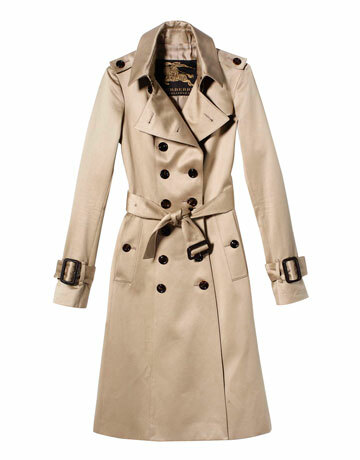 Trench coat, a really good, long lasting trench coat. A wardrobe of classic, good quality clothes — clothes that I wear– clothes that I love. Get financially sorted Achieved 2014 – I am not independently wealthy but by marrying a man who works at BofA, I was actually forced to get all my finances together. 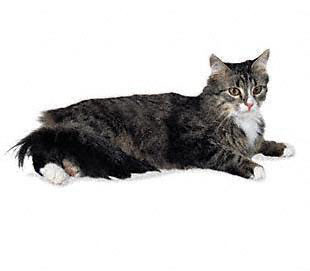 I want a cat- A Siberian cat because they are supposedly hypo-allergenic. I want to have laser hair removal performed on my legs and pits. Be in a situation where I can win without having to kill myself trying. Visit Lenka, wherever she isThis is an odd one to check off BUT I bought tickets to visit Lenka in Bratislava (August 2012), but she decided to go to Spain instead… SO… I went to visit her but she wasn’t there to receive me. I feel like I did my part on this one and so I can cross it off. Get matching hangers in my closets so my clothes line up nicely – DONE! 2013! Bought velvet boutique hangers from TJMaxx and my closets look almost organized! Learn the ability to do simple household tasks without having to find motivation – December 2012, I hired Alba. She keeps my house clean. Wireless speakers that connect to my laptop, uh, wirelessly- so I can have music untethered throughout my house, or perhaps an Internet Radio? – 2012, I DID IT! I bough Sonos and LOVE IT! I should have done it YEARS AGO! I would even like new carpeting up in the loft— the carpet up there is in really bad shape. LAMINATE FLOORING that matches the rest of my house… accomplished March 2012! YEAH BABY! Ikea’s EXPEDIT bookcase for $79.99 to keep up in the loft and store my vinyl records in…. I think.<1>(I got it! Memorial Day Saturday May 2009 – Ikea was having a sale and the expedit’s were only 49.00! I bought a black/brown one and it looks perfect in my loft holding my vinyls records! Have a pretty garden – June 2009, This is crazy but I just noticed– I DO HAVE A PRETTY GARDEN! Fix rotted window in dining room August 26, 2009! Yeha Bralor Construction! Fix shower in bathroom and maybe even swap out my bathtub and replace it with washer and dryer from kitchen. NEW SHOWER – August 2009! It looks great. One day I may swap out the bath tub but right now, it’s fine as it. Get siding fixed in courtyard– I melted siding in two places because I didn’t move the grill far enough away when cooking. I’ve learned my lesson but the wall never healed. Fixed August 2009- I called Anthony, the guy who takes care of my community and he sent a handyman over who replaced the melted siding with new siding in a slightly different shade. I am going to assume the color difference is owed to the sun and will even out.. eventually. Buy or build a desktop computer. 12/28/2009 Bought a desktop computer from T&S Computer and Upgrades! WHY ARE THERE NO ITEMS FROM THE PAST THAT YOU HAVE ACCOMPLISHED ON LIST OTHER THAN YOUR HOME LIST? Hey! Cut me some slack, I am working on it. I have been looking for that Capt Zoom thing for years. It was so cool to be able to send that link to my brother today for his 45th birthday. Thanks again for some good stuff!